No matter how short, power outages can cause dangerous situations, as a New Jersey amusement park found out earlier this week. 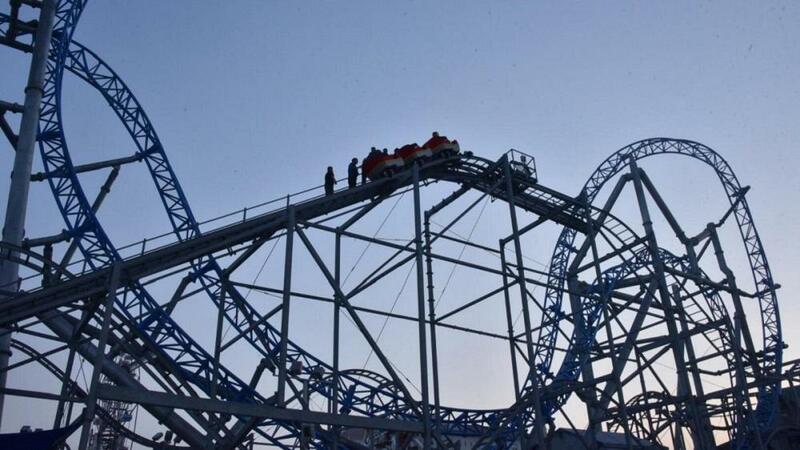 When power went out Monday evening on the Boardwalk in Ocean City, New Jersey, the rides at Playland’s Castaway Cove also came to a halt and the park was evacuated according to safety protocols. That included workers scaling the Gale Force roller coaster to bring stranded riders to safety. Atlantic City Electric was able to replace a capacitor quickly and restore power, and Brian Hartley, the park’s vice president, indicated that the park’s attractions were functioning normally within 20 minutes and guests were allowed to resume their summer entertainment. Atlantic City Electric indicated that additional repairs could be required to avoid future outages and the underlying cause of the outage was still under investigation. With many utility systems running on old equipment, power outages are not uncommon, and this incident shows why proper preparation and safety procedures are an absolute necessity for both employee and customer well-being. In addition to ensuring evacuation and other outage protocols are in place, however businesses should be aware that power outages can also cause damage to equipment they rely on to operate. That includes communications systems, network infrastructure and, in the case of the amusement park, computers that operate rides. Outages can cause power fluctuations that can damage circuits inside equipment, causing them to weaken or fail, creating much more downtime and repair costs well beyond the duration of the outage. To prevent damage to equipment, businesses should include power protection systems in their budgets. These UPS systems not only regulate line voltage to avoid overloading systems, but also provide enough standby power to allow for manual shutdown of systems to prevent any data loss or corruption. Extended runtime systems can keep critical technology operational for longer periods. There’s no way for businesses to avoid outages, but they can eliminate extended impact on their operational capacity by investing in appropriately sized power protection solutions as part of their business continuity planning.